A new breed of smartwatch, elevating the playing field of consumer expectations from current industry norms to include accurate heart readings. This is how CEO Ranndy Kellogg introduced Omron's latest offering to the smartwatch market. Smartwatches have steadily been gaining more and more popularity with consumers in today's market. The digital display, along with the number of very convenient and popular options, have been important factors in their rise in popularity. Also, users can download compatible apps for their smartphones which allows them to track and monitor their progress has also been an important factor as well. This is the current staple of the market, and nothing particularly novel, which is exactly what Omron hopes to change with their new addition to the field. 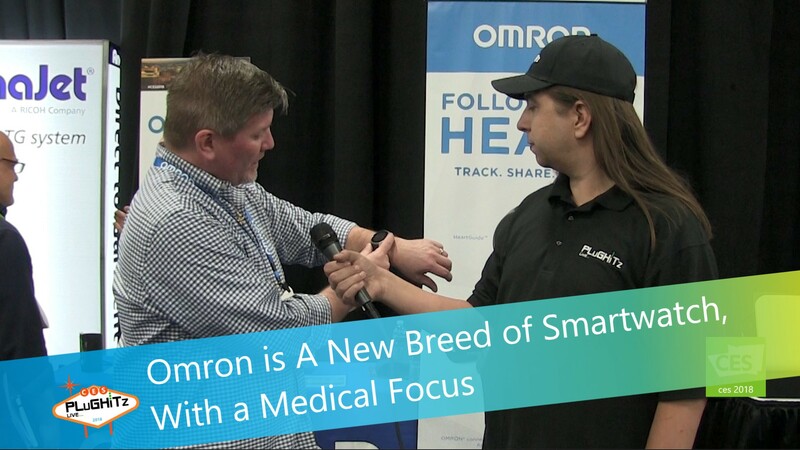 Omron a leader in cardiovascular monitoring equipment is now introducing their FDA-approved heart monitoring equipment into their latest offering in smartwatch world. This cutting edge watch includes the same inflatable band that is in the classic blood pressure cuff found in doctor's offices all over the world, but takes the same technology and minimizes it to fit into the band of the watch itself. Omron's new gadget is able to take Accurate and Systolic and Diastolic readings, as well as actual EKG readings. Now, that may not seem like much of a big deal to a non fitness watch enthusiast, but this is an evolutionary step in gaining access to accurate biometric readings instantly and on the go. This paves the way for more accurate, readily-available readings straight from our bodies, given as feedback in response to whatever physical activities we decide to participate in. Fitness watches now, when calibrated properly, will do little more than give you best guess numbers regarding: steps taken, calories burned and total distance walked. Many consumers are big fans of what the average fitness watch can do now, but this new tech hitting the market gives those with existing heart problems, adrenaline-junkies or anyone out there who also is interested in biometric feedback data a lot to be excited for. Oh, don't forget, you can browse the net, make or take calls, text, review calendar events, and I'm pretty sure it tells the time too.